I work hard but party harder. This year, I'll be flying to Bacolod to witness the MassKara Festival. It's my first time but I do frequent the place because almost all my relatives are there. I know the arrangements for the streetdance and grand parade are already being done because I know a few who will be part of that. But when the night comes, we don't have to just go home and sleep... we need to party even more! I've taken the pleasure of listing down 3 major parties that you should not miss during this weekend. You need to be in the most happening places in Bacolod so you would not just sulk in your hotel room while you're on vacation. 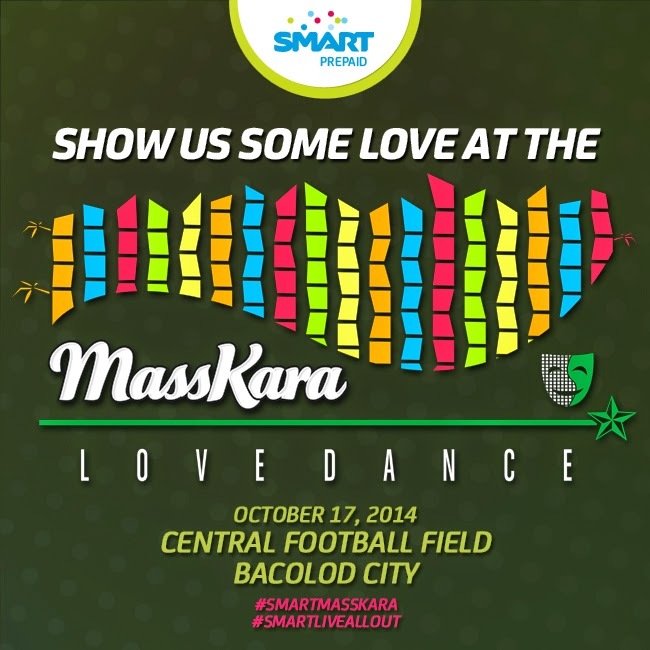 On October 17, 2014, head on the Central Football Field in Mandalagan, Bacolod City. The whole place will be transformed into a music festival ground where freedom, expression and screams will be sacred. They will take you to that place where a weekend of party and love converge. It'll happen from 12 Noon to sunrise the next day! I will be there to take photos of people so see you! Cafe Bob's is a landmark in Lacson Street and if you're doing MassKara, you should never miss this 2 day spectacle that will happen on the actual street. They are also bringing in Spectrum Live! They'll be coming in with the best of the best acts in Visayas and Mindanao. DJ's from Spectrum will be spinning right after the sun sets. Lights and sounds on this grand EDM party might not be seen quite a while in this side of the Philippines so if you're into it, come grace the Invasion Tour in Bacolod! This will happen in 2 days, October 17-18 so you've got time to roam around and enjoy this one! This is the BIGGEST outdoor dance festival in Bacolod. Think about the lineup of 35 DJ's, 4 MC's, 2 bands all being done in 4 long nights. From October 16 to 19, you'll have to go out and celebrate their themes Inception, Awakening, Kaleidoscope and the Charter Day Electric Dance Parade. Heck my friend Santi Santos from Manila is also spinning here! Best of all, this party has NO ENTRANCE FEE and will happen on the actual Lacson Street so make sure you join the festivities brought to you by SMART, as they show you how to LIVE MORE! 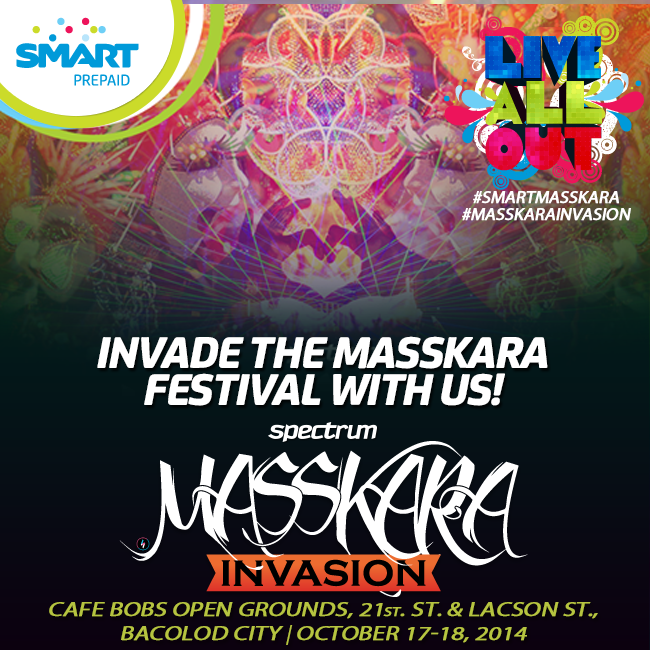 There will be a designated SMART ZONE along Lacson Street where you can join activities and WIN prizes! For details on how to get tickets to these parties, follow @SmartPromos on Twitter or check out their social media channels below!